Today was the 40th annual conference of the Sussex Family History Group, held in Haywards Heath. There were three good speakers despite having to make a last minute to the lineup when Ian Gledhill had to withdraw. Geoff Swinfield on DNA and how it can be used by family historians. Possibly an overdone topic but Swinfield explained it clearly and humorously with a good dose of family history. Peter Lovett talked about the influence of invasions on the English language. An informative talk showing the worldwide historical influence on our language. Finally there was James Gardner who talked about the history of Brighton workhouses, the topic of his book published last year. He did a good job of bringing the horrors of the workhouse system to life. The usual stalls were there and the East Sussex Record Office had many photos showing the progress of The Keep including the room which will be the new home of the Sussex Family History Group and its library (this year hopefully!). To celebrate the 40th anniversary there are a number of family history writing competitions. 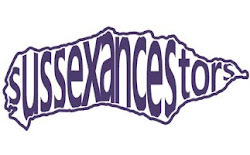 The children's under 13 competition has now closed but the other categories are under 25 years, for those with a mainly Sussex family history and for those with a family history outside of Sussex. First price for each category is £100. The standard in the children's competition was excellent and shows there is a lot of budding family historians out there. For more details see the SFHGwebsite. In need of a pick me up?